Our orchestra was founded in 1997 by our Music Director, Norris Berg, together with a small group of 12 string players. The newly formed orchestra called itself the Thompson Valley Community Orchestra, to reflect the area from which it would draw its players and audience members. Soon it had grown in size to include all instrument sections - woodwinds, brass, percussion and strings. Today its players number 50 or more. These dedicated amateur musicians are drawn from students in elementary, high school and university as well as adult players. The players receive no remuneration and play for the joy of creating quality musical programming to share with the community. In 2014 the orchestra name was shortened to Thompson Valley Orchestra and the letters TVO became part of our new logo. 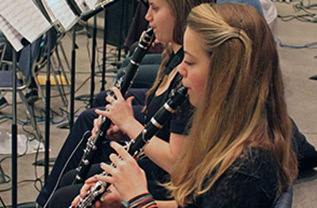 The orchestra’s repertoire includes a variety of musical styles from light classics to pops. The orchestra presents three to four concerts a year in Kamloops and also performs outreach concerts for Seniors Homes and Care Facilities. TVO enjoys working with many local artists and musicians in its concert series. Concerts take place at Kamloops Full Gospel Tabernacle, which is also the orchestra’s home base for its weekly rehearsals on Monday nights during the playing season. In 2017 TVO celebrated its 20th season of performing. These past 20 years have been years of both growth and change. This year in particular we have faced two significant changes. The first was a change of concert venue. As of December 2016, TVO now performs in Kamloops' North Shore area, at Kamloops Full Gospel Tabernacle, 1550 Tranquille Rd. The second change was a sadder one as we announced the retirement in May 2017 of our founder and long-time Music Director, Norris Berg. Norris has built a long-lasting legacy in the Kamloops community with the founding of TVO and developing an orchestra that has provided the opportunity for many amateur musicians, both young and old, to foster their musical skills in an orchestral setting. We will miss his committed leadership and genuine enthusiasm in working with our members. In the 2018-2019 season TVO will be holding concerts under the leadership of three Guest Conductors. 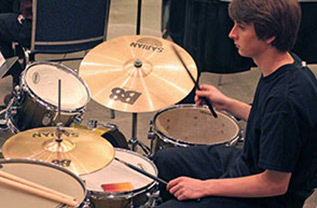 John Franks' early education and training were in the field of music performance and education. He taught high school band classes in Quesnel, BC and later in Brewster Washington. In 2000 John earned a Masters Degree in Communications Disorders/ Audiology from Washington State University. John currently works as an audiologist in Merritt, BC. John has continued to be actively involved in musical endeavors through choral music with his church choir and as a director of Vivace Chorale in 2004-2005. 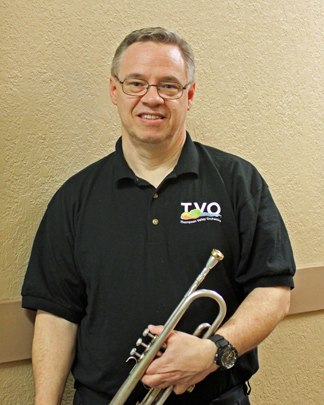 He has played Trumpet with the Thompson Valley Orchestra since 2005. 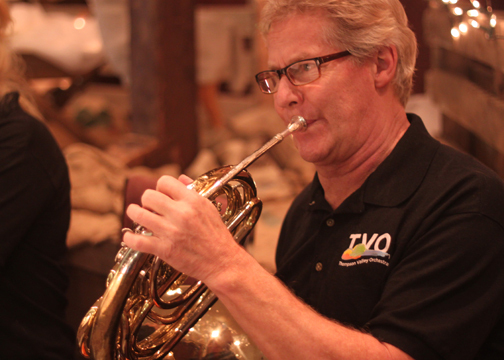 John has been an occasional guest conductor with TVO and this past season conducted the premiere of one of his own compositions "Toboggan Ride". TVO is proud to have John Franks as its guest conductor for the March 2018 concert. Don has over 30 years experience as a music educator with School District 73 in Kamloops. He is a published author of inspirational music teaching articles, such as "Everything You Need To Know You Can Learn Through Music." 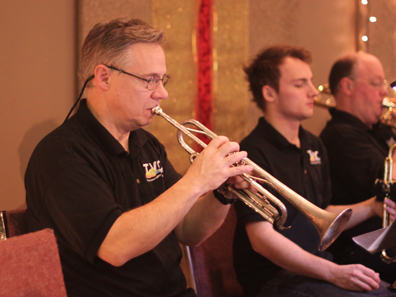 Don is a professional trombonist and played with the Kamloops Symphony for 26 years. He enjoys music making with a number of Kamloops and area groups. Don has served as the guest director of the Salmon Arm Reading Band and the Cariboo Music Retreat Concert Band. He has served as an adjudicator at the Penticton Festival of the Arts, Shuswap Music Festival and Arts in the High Country Festival. Don is the associate conductor of the Kamloops Brandenburg Orchestra and of the Kamloops Community Concert Band. TVO is proud to welcome Don as the guest conductor for its December 2017 Christmas season concert. Steve Powrie has been an educator with Schoool District 73 for over 35 years. Since 2002 he has also been an instructor in the Education Department at Thompson Rivers University. Steve is a music clinician and conductor for honour bands at educator in services and conferences and festival adjudication. Besides his ongoing field of music education, Steve has also been a teacher of Social Studies and has authored various publications in this domain. Steve plays French Horn and Trumpet, as well as Trombone, Baritone Horn, Clarinet and Saxophone. He has played with the Vancouver Philharmonic Orchestra, Vancouver Wind Quintet, Kamloops Symphony and Thompson Valley Orchestra. From 1986-1991 Steve served as a Music Director for KISSM, the Kamloops Interior Summer School of Music, which is attended ever summer by over 300 students who come from BC, Alberta and across Canada. in 1994 Steve was a guest conductor for the Kamloops Symphony. TVO is proud to have him as our guest conductor for the May 2018 concert. TVO seeks musicians from late elementary age to adults who want to work together in an orchestral setting to create wonderful music. 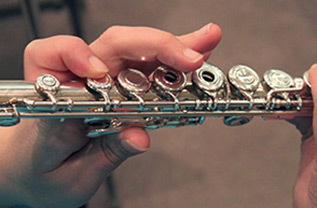 We need players who are committed to regular practicing and ongoing development of their musical skills. Orchestra players are expected to attend all rehearsals unless they have given notice of an unavoidable conflict (illness, work or school commitment). If more than 3 rehearsals are missed it will be up to the Conductor's discretion to decide if a player can still perform in the concert. TVO accepts potential new members throughout the year. Prospective players should contact the TVO Administrator, and give information about their music training, previous ensemble playing experience etc. If the Conductor feels that they will be an asset to the group, the potential new member will be invited to attend a rehearsal to see if they can comfortably play the music on the program. Violin, Viola, Bass Clarinet, Tuba. Check Out Our 2018-2019 Season Schedule Today!